is an Optometry Specialist. He graduated with honors from the Pennsylvania College Of Optometry in 1975. 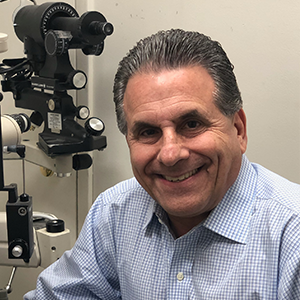 He has 43 years of diverse experience in the Optometric profession. Dr. Meshover specializes in Ocular Refraction, Contact Lens evaluation, fitting and management and as well as Diagnosis of Ocular Pathology. Dr. Meshover takes great pride in the relationships he has with his patients. He tries to make his patients comfortable and satisfied with their experience at our office.